On our Fitbit comparison, we give you the most detailed review that is available. We love fitness trackers and Fitbit is the best on the market, that’s why we put the extra effort and start with a Comparison chart, then we give you the best price for Fitbit’s, we also talk about the different Fitbit models, and then compare the Fitbit’s by features like waterproof GPS etc. So be prepared to get the best Fitbit for your wrist and needs. This is a summary, just before we get into more details about features, price, battery life and much more. ⦁ Pay doesn’t work with all banks. ⦁ Music is hard to set up and use. 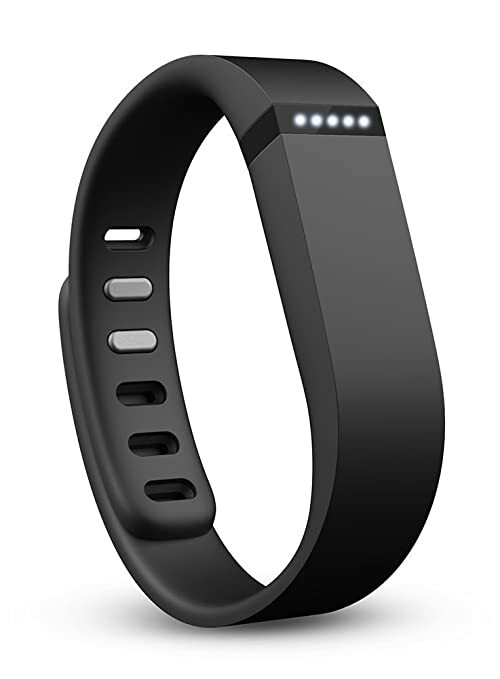 4 What is the Cheapest Fitbit? 6.12 Which Fitbit features the best display? 6.14 What colors are available? 9.3 What Size Fitbit Should Women Get? 10 What is a Fitbit? Fitbit is the leader on Fitness trackers and provides the latest Features and functions, such as multi-sport recording, GPS tracking and wireless syncing, all packed in a beautiful and durable package. Another cool factor is that you will get your stats displayed in real time, one thing the competition can’t claim. Their activity trackers exceed expectations: they do not just inform you when and how much you are moving, they also let you know if you’re not moving enough to get you going. In addition, the latest models feature Smartwatch functionalities that can give you extra flexibility such as paying right from your wrist. as well as e-mail and text capabilities, so you’re able to stay in touch even if you are on the go. The range of Fitbit models is getting wider by the year but don’t worry about it, we will explain the difference between the Fitbit’s and compare all of them so you can pick the best Fitbit fitness tracker for your needs or for your loved ones. Listed below we compare the various Fitbit models. But we find the Charge 2 to be the most versatile one, it is simple, slim, tracks effectively is affordably priced, and contains all the functions that the majority of people will ever need. 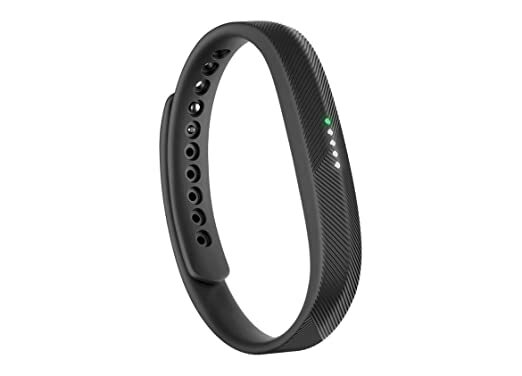 Fitbit Flex 2 – US$58.79 – view today’s best prices on Amazon. 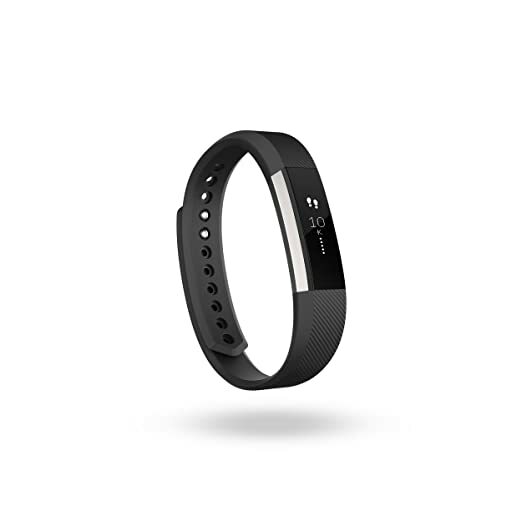 Fitbit One – US$99.95 – view today’s best prices on Amazon. 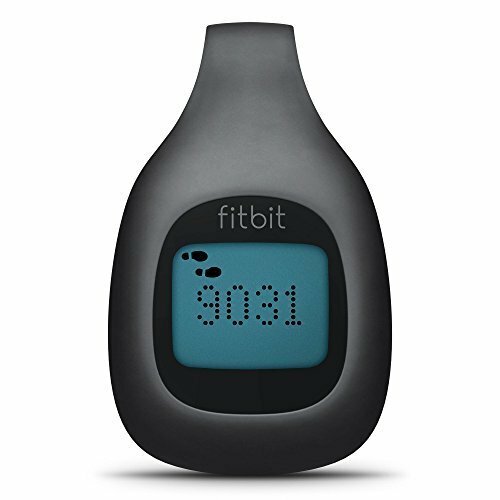 Fitbit Zip – US$87.57 – view today’s best prices on Amazon. 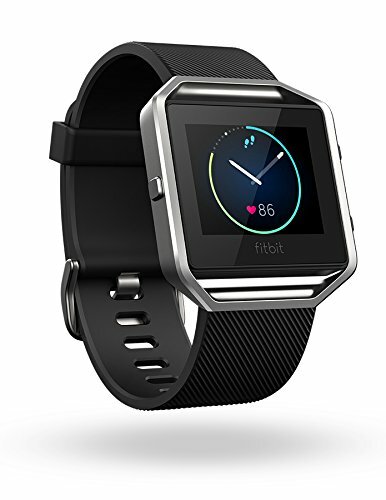 Fitbit Alta – US$129.95 – click here to view today’s best prices on Amazon. 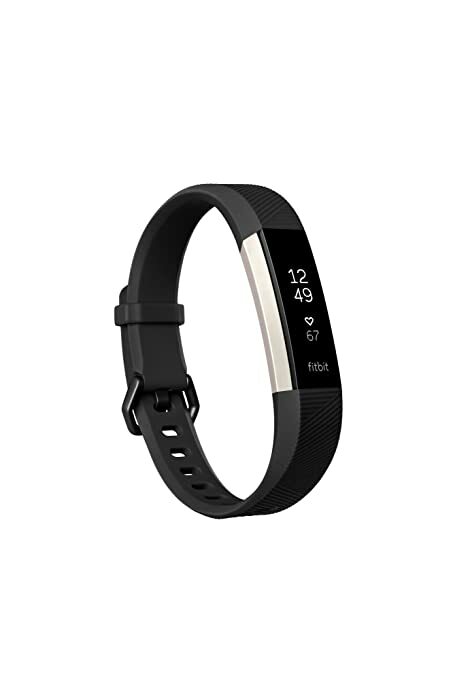 Fitbit Alta HR – US$149.95 – click here to view today’s best prices on Amazon. 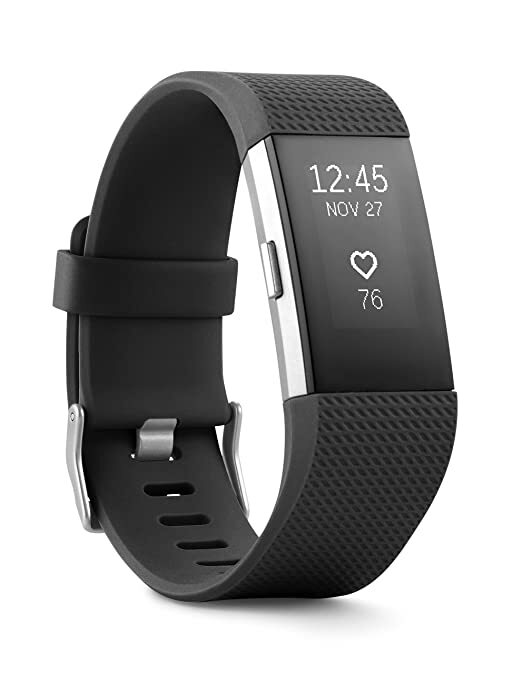 Fitbit Charge 2 – US$149.95 – click here to view today’s best prices on Amazon. Fitbit Blaze – US$199.95 – view today’s best prices on Amazon. 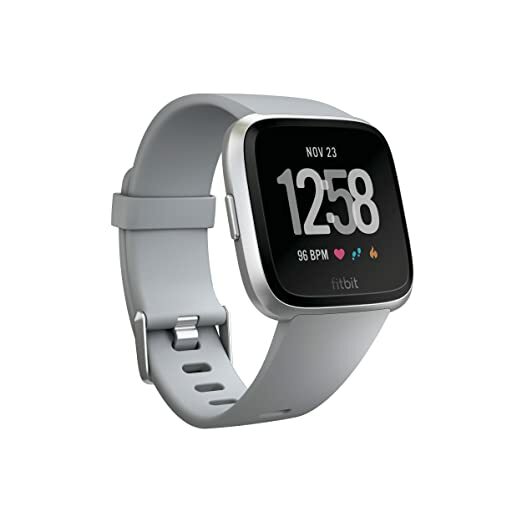 Fitbit Versa – US$199.95 – view today’s best prices on Amazon. Fitbit have some variation on prices lately more these last months ( Black Friday and Christmas deals), so we start to look up for the different prices and vendor on Amazon and we find this Fitbit Flex 2 (Brand new, sold by Fitbit, and with a discount) that cost today $58.79 (we check weekly for prices) to be the cheapest Fitbit available on the market. If you want to know more about the features go Here to Amazon where you will find all the information about it. We also have down here on this same post a detailed review about the Flex 2 but have in mind that the cheap price is only on the link below. The Flex 2 lives up to its name for being flexible in terms of customization (and literally flexible), and it’s a good value in terms of all of the things it tracks, including sleep, the biggest drawback is its lack of a screen. Instead, it has LEDs that light up as you close in on your goals and is Swim-proof! The Charge 2 is one of the best sellers from Fitbit and for a lot of good reasons. Having in mind the high end features that come along that will help you get your fitness to any level you want, as well help you monitor your heart rate and lose weight if you need it, and comparing with the competition there’s no way you can get all this help for the $150 mark that comes with the Charge 2. This tracker comes with the PurePulse technology that not only will provide you with information on your heart rate but will also track your beats 24/7 and gather information on every step, and exercises that you make. Another great function that comes along with the PurePulse technology is the Snap Shot Cardio that will give you an instant picture of your fitness level and score using your user profile, heart rate, and exercise data and calculate your VO2 Max level. This is amazing for those trying to lose weight. With the Charge 2, you can also control your anxiety or stress levels by using the guided breathing sessions that will help you get relaxed and teach you how to control and level your breathing. Best Features: The Charge 2 is a superior heart rate and activity tracking band with interchangeable accessories. It features an OLED screen with a tap display, heart rate tracking, text-call-calendar alerts, and GPS tracking when connected to your smartphone. The Charge 2 extends fitness to other areas of your life as well, including sleep monitoring and guided breathing sessions. It’s water resistant but not swim proof!. Great for: Runners and walkers who want a relatively slim tracking band that keeps tabs on all aspects of their fitness routine. The Ionic is the first true attempt from Fitbit into the smartwatch world, and let us tell you is a really great attempt. With onboard music, built-in GPS, and contactless payments this smartwatch is the first real contender against the Apple watch that was dominating the arena. Is true that on the app department the Apple ecosystem is still a tough competitor but when it comes to fitness tracking and battery life the Ionic is the clear winner. If you would like to know more about the differences check our Fitbit Ionic vs Apple Watch review. Presenting the latest high-end features the Ionic comes with the Fitbit Coach trainer that will give you on-screen workouts, of course, comes with a heart-rate monitor but also adds built-in GPS, water-proof up to 50m, music playback support, and a bright colorful OLED display that will make your stats really clear at any moment. Best Features: Find the guidance to reach your goals with dynamic personal coaching, built-in GPS, and continuous heart rate. Stay motivated by storing and playing 300+ songs. Plus, get convenient access to popular apps, payments on your wrist and be part of the Fitbit community. The Ionic syncs automatically and wirelessly to computers and Phones both iOS and. Receive Call and text notifications via Bluetooth 4.0, Music control via Bluetooth Classic on Android, iOS, and Windows devices as well. Great for: People that are looking for a fitness watch that goes the extra mile in terms of features, you’ve got the added benefits of things like Fitbit Pay, but they’re most useful in an exercise capacity. The Versa is the second smartwatch from Fitbit and includes all the amazing features that come along with the Ionic except the built-in GPS, but for this reason, the price goes down %33 which is a great deal having in mind all the other high-end features that come along. Including smart features such as NFC payments and high-end fitness features like Fitbit Coach that will give you exercises and record your data to help you get quicker to the next level. Featuring a cool and sleek design that reminds us to the Apple watch being small and rounded that would look great on any wrist. With a battery life that can go up to 4 days and the ability to track your sleep, step count, heart rate and calories burned the Versa is a great companion to track your overall health and improve it. It can automatically track your exercises such as biking, running and swimming since is waterproof up to 50 meters, this tracker has it all! Best Features: The Fitbit Versa is a prettier, cheaper version of the company’s first true smartwatch, the Ionic. It lacks built-in GPS and NFC payments, but you’ll save $100 if you opt for the new watch over the original. The Versa still boasts four-day battery life and a comprehensive range of health-tracking features, making it a strong fitness-centric smartwatch. Battery life: Up to four days of battery. Great for: People who want a reliable smartwatch for a good price, as well as someone that would like to have the latest technology on fitness tracking and don’t mind the lack of GPS. When we start our Fitbit comparison we realized that all the Fitbit can monitor calories, distance steps, and sleep, however, they are different in a few individual features, which we are going to focus on here. Every gadget comes with an accelerometer that measures motion patterns to establish your calories burned, distance traveled, as well as the steps taken. In the case of the Fitbit Zip besides all the features it also keeps track of sleep quality. The Charge HR, Blaze, and the Surge all feature PurePulse, Caller ID, and Smart Notifications as the Blaze and Surge both have Smart Track in addition. The Blaze is the only one with FitStar and the Surge is the only one that comes with built-in GPS. In terms of appearance, it is actually more than simply preference, as you need to think about comfort and flexibility as well. If you wish something in the cheaper price point, or that is a bit less fussy, the Charge HR has a great deal to offer you. It’s OLED display with crystal clear screen that can be read in every light. Also, the Charge HR come in a number of band colors plus the elastomer is known as both comfortable and breathable. For people seeking something a little more discreet the Flex or Zip might be the best choice. The Flex is slim and possesses a smaller screen with Led lamps to point progress. It is available in 8 colors, which makes it look a lot more like a bracelet than a tracker. The zip is even more discreet so that you can clip it beneath your shirt or on your belt, so no one even is aware you are using it. Last but not least, If you need a model that can vary from work to play, then you will want to check out the Alta. Featuring a slim and classy look it could be used to work or for an evening out, making it simpler to use on a regular basis. It’s affordable and meets professional and athletic needs, having a sharp OLED screen that provides you immediate access to workout statistics, notifications along with the time. The Fitbit Surge features 8 sensors and is also the only model from the lineup that has built-in GPS without having to use a smartphone to be linked. You can easily track distance, pace and elevation climbed, and review routes and split times. This defeats the Apple Watch, which utilizes a phone for GPS. The advantage of having a GPS on your device is that you can track exactly where and for how long you run and walk. In addition, it makes all the stat’s far more accurate. The Blaze does have GPS when you sync to a phone but carrying a phone while running can weigh you down and be a bit annoying. The Alta HR, Charge 2, Blaze and Surge monitor your heart rate on your wrist. They use Fitbit’s PurePulse technology that gives continuous, automatic, wrist-based heart rate, plus simplified heart-rate zones. The Fitbit Surge is a perfect selection in case you workout frequently and practices different sports, It also comes with GPS to work together with the heart rate monitor. As we said before GPS increases accuracy, and with the Surge, you can also change the heart rate monitor depending on your specific activities. In the beginning, the only Fitbit that you can you swim with was the Flex 2, But since last year the Ionic and Versa models appear to the market to help you track your swimming. The latest models are Smartwatches so they can also identify your strokes and track all your data from each swimming lap. Helping you to improve not only your strokes but also your resistance. Unfortunately not one of the other Fitbit activity trackers can keep track of your swimming. And not only one of the other Fitbits are pleased being wet. The Fitbit One, Zip, Alta, Charge2, Blaze, and Surge are splash resistant, but really should not be immersed far more than one meter. The Flex 2, Ionic and Versa are waterproof up to 50 meters, which happens to be rated as 5 ATM (Atmospheres). The Alta, Charge 2, Charge HR and Blaze are waterproof to just one ATM, so in theory, could be immersed as much as 10 meters (33ft). Having said that, watch experts suggest that a gadget with this particular level of resistance is protected from accidental contact with water; such as splashes, sweating or unintentional immersion; and state that it shouldn’t be exposed to any water pressure. Check our full review for the Best Waterproof Fitbits for swimming. Battery lifespan can be quite important, based on how much you travel and want to make use of the device. With all the different models the Alta Hr and Flex will give you by far the most for the money, with Seven days of battery lifespan. Having said that, the Zip contains an exchangeable battery that lasts 4-6 months, a fascinating solution if you do not want the inconvenience of charging your device. The Blaze, Charge HR, Charge 2 and Flex all have 5 days of battery life. Which Fitbit has the best battery life? All the models except the Zip also contain a vibration motor, which allows it to vibrate when alarms are set to go off. The Alta, Alta HR, Blaze, Surge and Charge 2, feature multi-sport exercise tracking. A recently available software update on the Charge HR and Surge make it possible now to immediately identify which exercise you are performing. They are fully aware if you are riding a bike, running, hiking or taking part in sports activities such as football, tennis, and basketball. They will also identify cardio exercises like Zumba, cardio-kickboxing and dance routines, and record the workout in the Fitbit app together with a workout summary. The Alta, Alta HR, Charge 2, Blaze and Surge will all show Caller ID when linked to a smartphone. All the wristbands display text notifications on the screen, and the Blaze and Surge allow you to control your music from the touchscreen display. This is available on the Fitbit Alta, Alta HR, and Blaze. It encourages you to meet a mini-step goal of 250 steps each hour (approximately 2-3 minutes of walking). These prompts can be personalized to your schedule; for example, they can be put on “Do Not Disturb” during long meetings or appointments. Every one of the Fitbit’s, except for the Zip, track your sleep, too. They calculate the time you spend asleep and check the quality of sleep – observing if you are stressed or get out of bed through the night. Fitbit’s new Sleep Stages measurements (on Alta HR, Charge 2 and Blaze) uses heart-rate variation to calculate how much time you spend in Light, Deep, and REM sleep, together with time awake every single night, to improve and comprehend your sleep quality. In the case of the Charge 2 and the Blaze, both offer a Relax Guided Breathing sessions that can help calm your body and mind through two to five-minute sessions personalized to your breathing rate. The advantage of a guided breathing practice is that they are meant to reduce anxiety and stress, along with lower the blood pressure level. The One, Charge 2, Charge HR, Blaze and Surge boast an altimeter that measures stairs climbed. Despite its name, the Alta does not include an altimeter. Which Fitbit features the best display? The Fitbit One has a display that features six modes: Steps; Distance; Calories burned; Floors climbed; Flower (grows and shrinks based on your recent activity); and Clock. The Flex 2’s display is the most minimal of the different models, consisting of a series of flashing dots that show you how your day is stacking up against your goals. Each light represents 20 % of your goal. You just need to tap the display twice and see your progress against your daily goal. 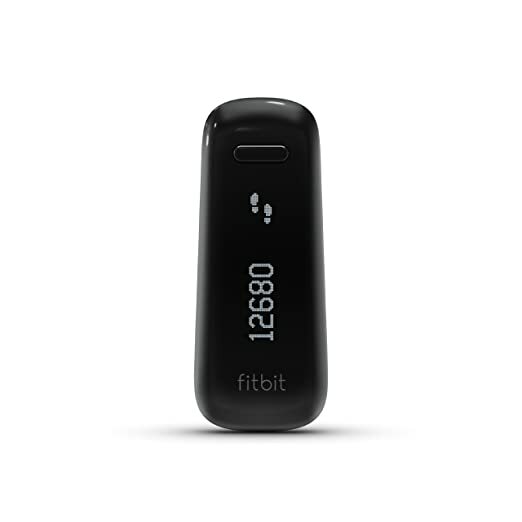 The Fitbit Zip display has five different modes: Steps; Calories burned; Distance; Fitbit Smiley (highlights your recent activity level); and Clock. In the case of the Fitbit Alta and Alta HR, they take a longer, vertical view of its displays. The Fitbit Charge 2 has an OLED display that shows Time; Steps; Heart Rate; Calories burned; Distance; Floors climbed; Very active minutes; Caller ID; Text Notification; and Alarm. The Fitbit Surge larger sized screen displays far more information on health and fitness for sports lovers. The display is a touch screen monochrome LCD with backlight (for low light visibility). Ok…but they all use the same app? Yes. All of them utilize the exact same iPhone, Android, and Windows Phone apps. Also, you can see the data on Fitbit’s website and synchronize a tracker with a laptop or PC utilizing the included Bluetooth USB dongle. The apps look fantastic and display your complete daily and historical statistics in beautiful graphs that expand in landscape orientation and also display in portrait view. The desktop dashboard is another visually appealing and educational spot to keep track of your exercise and fitness statistics. And as a motivation you are able to link with friends, family members and co-workers to compete against each other on the leaderboard, become involved in daily or weekly Challenges, and earn badges based on completing goals, and historical milestones. These features of the Fitbit system is what really makes the difference between Fitbits and any other tracker. The Fitbit One is among the best Fitbit models available and you can find them in either Burgundy or Black. The Flex 2 wristband is available in four colors: Black, Lavender, Magenta and Navy Blue. You can also buy extra bands for the Flex 2 (without the tracker) in packs of three. 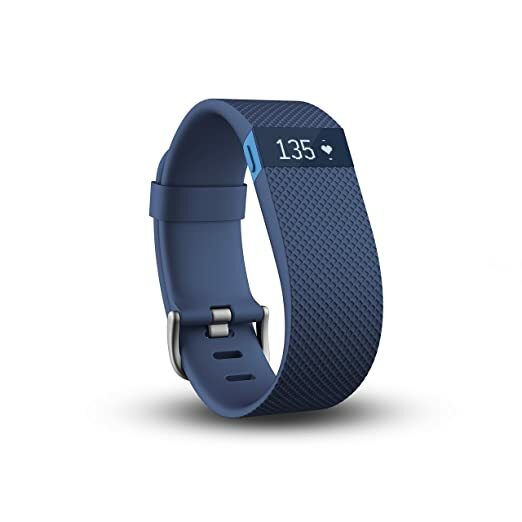 The Fitbit Alta is available in a classic strap (extra US$29.95) in Black, Blue, Plum or Teal; in leather in Graphite or Blush Pink; or in Stainless Steel Links (extra US$129.95). 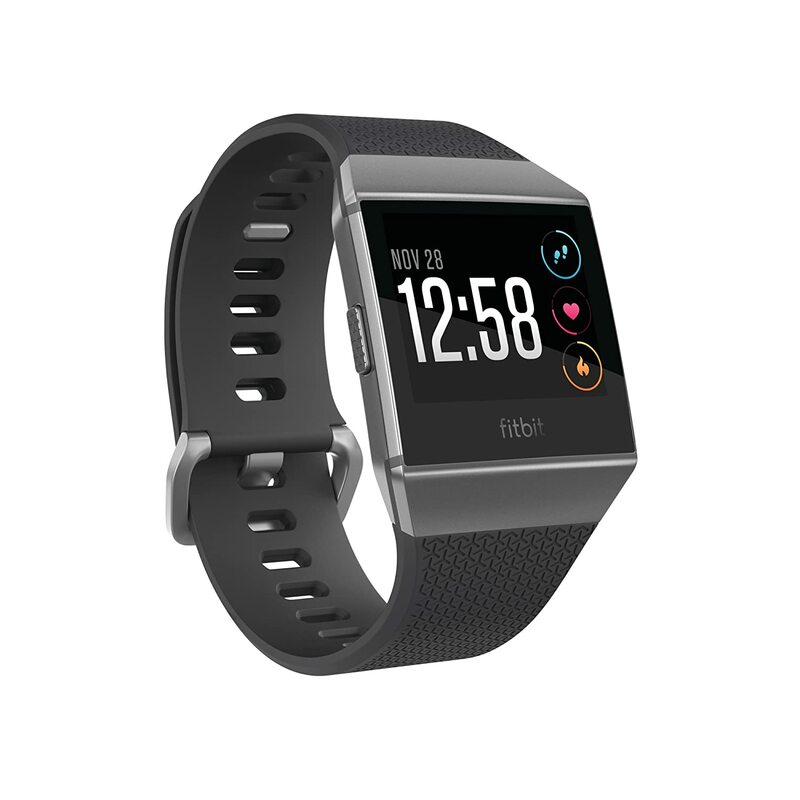 The Fitbit Alta HR is available in a classic strap (extra US$29.95) in Black, Blue Gray, Fuchsia or Coral; in leather in Lavender, Indigo or Brown; or in Stainless Steel Links (extra US$99.95) or Gold Plated (extra US$129.95). The Fitbit Charge 2 is available in its Classic Band model in Black, Plum, Blue, and Teal. There are also Special Edition models of the Charge 2, available in Lavender/Rose Gold and Black; and Luxe Leather in Brown, Blush Pink, and Indigo. The Fitbit Blaze is available in a classic strap in Black, Blue or Plum; in leather in Black, Camel or Mist Grey; or in Stainless Steel Links (extra US$129.95). The Fitbit Surge is available in three colors: Black, Blue, and Tangerine. But it’s no longer sold on the Fitbit store, only on Amazon and other online sellers. In the beginning, we talk about the 3 best sellers from Fitbit but here we talk about each of the other models, if you would like to know more about them you can check the links for our individual reviews. Features: The Blaze, Fitbit’s newest device, a cross between an advanced fitness tracker and a basic smartwatch. This watch offers PurePulse heart rate readings, all-day activity tracking, sleep monitoring and workout summaries. Customers can take advantage of wireless syncing to many hundreds of devices, music control of mobile playlists, smart notifications (text, email, calendar) as well as a connected GPS system to map routes when synced with a compatible device. Great for: Sophisticated athletes who aren’t ready to make the leap to a more advanced smartwatch. The Blaze offers just enough smart features while keeping fitness the main priority. 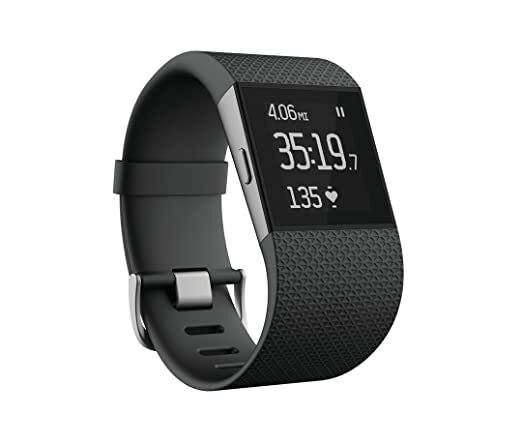 Features: At the top of the fitness tracker line is the Fitbit Surge, a $249.95 performance fitness GPS watch. Besides the typical tracking features, this watch has caller ID, text notifications, music control, continuous heart rate monitoring, GPS tracking and wireless syncing to compatible devices. The Surge features won’t be a replacement for tried and tested fitness metrics, either; users can log their workout routines, check out exercise summaries, monitor distances, keep track of calories burned, record floors climbed and determine speed. Great for: People who want the bells and whistles of a smartwatch like the Apple Watch Sport but don’t want to pay almost $100 more. Features: The Zip is the least expensive tracker of the Fitbit bunch, is a small, water-resistant device that you can clip inside your clothes. It has an easy to read display, comes in a variety of bright colors and syncs wirelessly to compatible devices. It tracks steps, calories, distance, active minutes and time of day. Great for: Casual athletes who are looking for a simple, affordable and functional activity tracker. Features: The Flex is a sleek, stylish wristband that tracks sleep, steps, calories, and distance traveled. Includes a silent vibrating alarm and can sync wirelessly to compatible devices. 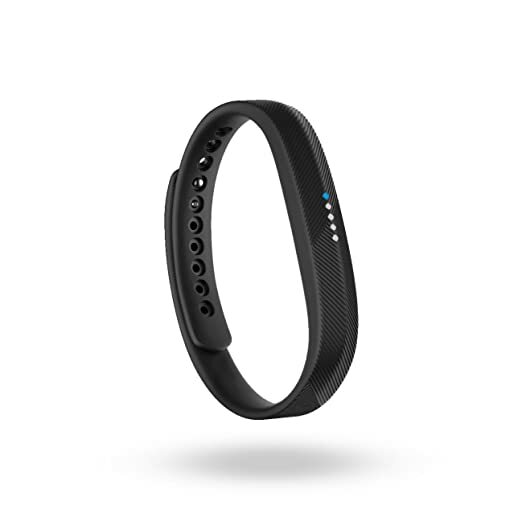 It doesn’t have a traditional screen, but the slim wristband displays LED lights that show progress toward your goals. Battery life: Up to five days of battery. Great for: People who want a water-resistant wristband that allows fitness tracking to continue no matter the activity. Great for: Swimmers who want a tracker that can keep pace in the pool. Priced under $100, the Flex 2 remains on the affordable end of Fitbit’s spectrum while maintaining coveted features like text alerts and interchangeable accessories. Features: Just like the Zip, you can also clip the One into your clothes. It tracks steps, distance, calories burned, floors climbed, active minutes and sleep. Also, features a clock and silent vibrating alarm. The tracker includes a simple OLED display and syncs wirelessly to compatible devices. Battery life: 10 to even 14 days. Great for: Fitness enthusiasts who want to monitor their activity and sleep but don’t want to wear something on their wrist. Features: The Fitbit Alta claims to be “the most stylish way to stay in shape.” This slim, stylish tracker comes in black, blue, plum and teal. It offers all-day activity tracking, smart notifications, sleep monitoring and reminders to move. The water-resistant device also features an OLED tap display and wireless syncing to compatible devices. Great for: Newbies on the fitness tracker world. Although the Alta lacks some of the components of its more advanced counterparts, such as a heart rate monitor and GPS, it’s still a valuable tracker and arguably the most visually appealing Fitbit yet. Features: The Charge is a step up in price and features from the Flex and the One. This model tracks steps, distance, calories burned, floors climbed and active minutes. It features a clock, auto sleep detection, sleep tracking, a silent vibrating alarm and caller ID. The wristband has an OLED display and can wirelessly sync to compatible devices. Battery life: Seven to ten days. Great for: Dedicated athletes who want an all-encompassing sleep and activity tracker without having to pay the price of a more advanced smartwatch. Great for: Serious athletes who want a reliable and multifaceted fitness assistant, not more than $150. The Fitbit Surge is the mightiest watch from the Fitbit bunch. Comes with all the men needs covered like GPS tracking, heart rate monitor, and the 2 coolest factor the Multi-Sport and SmartTrack. These 2 features are great for all types of sports and workouts, so you can tell your Surge exactly the type of work out you are performing so it can be as accurate as possible, and it won’t be counting your biceps curls as steps. A smart fitness watch that helps you maximize every workout and every day. With advanced technology in a versatile design, this revolutionary device is built to track your workouts, monitor your performance stats, and gauge your progress. The Blaze also offers a metal and leather bands in three different colors and a customizable watch face, so you really can make it your own. In case you need more information you can also check our page about Best Fitbit For Men where we give you a more detailed explanation of the different models and features for Men. Featuring a slim and versatile design and its particular customization, you can use your Flex all day long as you play and work and transition gracefully into a night time around town. It won’t skimp on the types of activities it tracks, either. It’s really a completely functional fitness tracker which records your steps, calories burned, distance, sleep, and active minutes. Although it does not have a display screen, the small tracker is easy to remove and place in accessories making it seem like an item of fashion jewelry. It is available in a wide selection of colors out of the box: black, gray, pink, lime green, hot pink, navy blue, orange, mint green, red and blue. The Alta is a slender smartwatch that provides a punch when it comes to features. Just like the Flex, its tracker is easy to remove and place in accessory wristbands that transform its appearance entirely. It can go from a functional look to a glamorous chic image by changing the wristband to one that looks like a metal bracelet. Along with accessory wristbands, it is possible to fully customize the watch face. When it comes to functionality, the Alta tracks all of the essential things, like steps, distance, sleep, and active minutes and mixes that with reminders that gently push you to move and reward you once you do it. Additionally, you can forget about the need to log your workouts into the Fitbit app — with SmartTrack and exercise mode, the Alta accomplishes this for you. Fitbits come in three standard sizes small, large and X Large. It’s kind of weird that there’s not a medium or regular size. Fitbit breaks down wrist sizes based on their circumferences (the distance around the outside of your wrist) and ties those with the different product sizes. This makes it easy to buy a Fitbit and know that it will fit your wrist properly, even if you can’t try it on. Check here where you can find a band to print and use in your wrist to know the perfect size for your wrist. A Fitbit is not just a fitness tracker or a smartwatch is much more than that. You can think that there’s a lot of brands and models around so what makes a difference between Fitbit and the competition?. The reason to buy a Fitbit is not for the gadget. It is really for the software. The Fitbit app for Android and iOS has become the simplest to use. It has the biggest social base, so you’re able to compete with family and friends, and syncs with a wide range of other services. The app also supports numerous tracker and will automatically identify whenever you change from one device to a different one. The best thing is that you are able to test-drive the Fitbit app without the need of buying any new hardware. The free app can be downloaded on your iPhone or Android phone and can track steps, distance as well the calories burned. If you want to go ahead and take the Fitbit jump, there is only one problem: deciding on one of the 8 versions that the company offers (which includes some which are years old). It can be confusing at the beginning, but we have created this convenient cheat sheet to help you. Modern Design Each and every model were created to look sharp and sleek. Because of top-notch materials, you will not even notice you’re using one as they are so light and portable. Develop a Routine They keep you motivated to workout and shape up with their fun apps and enhancements that will get you excited about fitness. Also, the tracking ability allows you to personalize your exercise so you take action the right way- no longer guessing if you are getting rid of calories, now you know. Monitor your health They make you aware of how physically active you’re (or are not! ), to help you boost your entire overall health. Superb Efficiency: These gadgets go well beyond the typical calorie/step-counters that are available on the market. There are encourages when you have been sitting or idle for a long time, Gps navigation to plan and keep track of your runs, monitor your heart rate when you exercise and a lot more. Like an added bonus, battery lifespan is about 1 week or longer, so you aren’t hassled by having to charge it on a regular basis. Revolutionary Technology: With 8 built-in sensors, strap-free heart tracking, split-screen comparisons and smartwatch features this gadget get the most recent, innovative technology to help make daily life simpler. Price Besides all these fantastic features, the Fitbit is fairly priced: no matter if you wish to spend a little or a lot, there is a Fitbit for everybody on your gift list. After this best Fitbit comparison, buying the right tracker for you is going to be a breeze. You will have no challenge finding the right Fitbit fitness tracker since you now understand what every one of them can do. Customers just can’t stop talking about these devices, given that they actually do improve your perspective on physical exercise for the better. Users are really amazed by how much these Fitbit trackers provide and how clearly and precisely they display all you relevant workout details. Your exercises will perform 10 times better after you strap one on. Of the variation of Fitbit models, the Charge 2, as well as the Blaze, emerged as being the top 2 choices among buyers, for several good reasons. The Surge is definitely the top notch tracker from the group, however, for those in search of even better features at an adjusted price the Charge 2 is currently the model of choice. The Flex 2 is usually one more great pick, particularly for people looking for something fashionable, economical and really functional. It can be worn in any setting and features the added bonus of being waterproof, so it’s excellent for serious-minded fitness buffs, newbies and advanced and users. When it comes to smartwatches the Versa and Ionic are the 2 choices and the biggest difference between them is the built-in GPS that comes along with the Ionic but also reflects on the price. Overall, these gadgets offer an all-around positive experience in terms of living healthy. They make workout easy and fun- that is the key to consistency and success. The Charge 2, Blaze and Surge provide you with state-of-the-art functioning that simply cannot be beaten, while the Flex 2, Alta and Charge HR mix economy with performance. Only one thing is for Sure every person who has ever used a Fitbit says exactly the same thing: there’s no greater exercise tracker available on the market. Fitbit simply cannot be beaten in price, packaging or use. Regardless of whether you are new to the health club scene or a veteran you are going to love Fitbit and all it has to offer.